Te Aud Romania was established to give Romania’s orphans and disadvantaged children a fighting chance at succeed in life. To do this, we must keep them in school and equip them for a chance at securing employment. Unfortunately, this is not enough for children who have suffered such immense devastation and emotional damage. These children desperately need our help and support. Help to heal and build self-esteem and confidence to even begin to feel normal like a child should. TAR aims to give orphans and disadvantaged children in Romania a real chance of success by providing in-depth counselling to children who need it most, and by providing education and development programs that hold the promise for a brighter future. 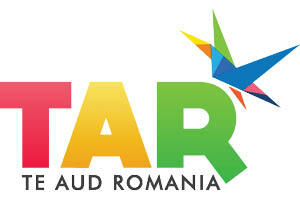 In summary, Te Aud Romania is committed to building stronger communities around us. We are committed to helping orphans and disadvantaged children in Romania stop the vicious cycle and increase their chances for productive and meaningful lives in the future, so they can contribute to building stronger communities, rather than hurting themselves and their communities by continuing the vicious cycle.